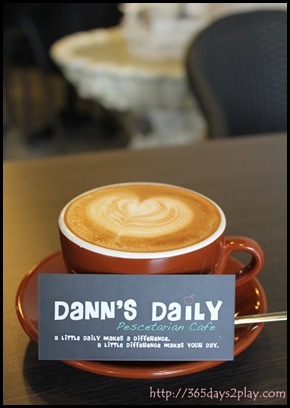 Dann’s Daily has added new stuff to their menu, yippee!!!!! 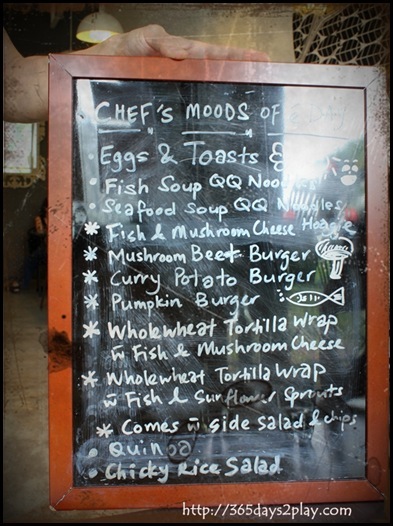 There’s quite a few interesting things on the menu like the Eggs & Toasts, Fish & Mushroom Cheese Wholewheat Tortilla Wrap and the Mushroom Beet Burger to name a few. 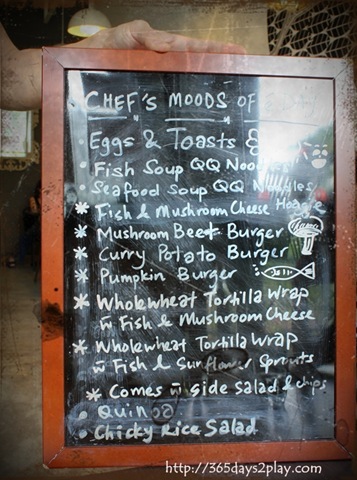 The Chef’s mood of the day is due to become a permanent mood! 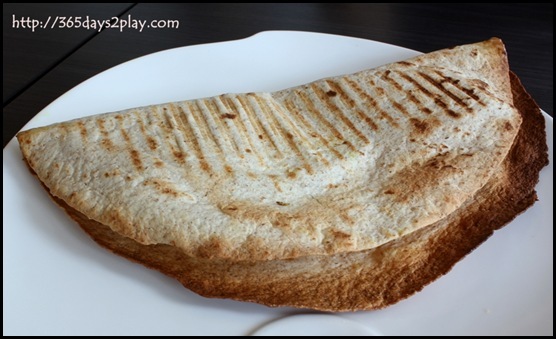 When I spied the Fish & Mushroom Cheese Wholewheat Wrap $9 on the menu, I knew I just had to try it, even though I already had lunch! This was 4pm, so it’s snack time lah! It looked a little plain and very flat at 1st glance! But when you prise it open, behold the goodies inside!!! Mmmmmm!!!!! 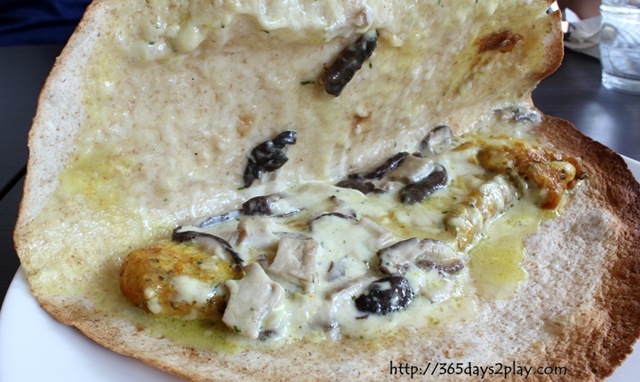 LOVE the white fish and how it goes with the mushroom and cheese. It was oozy juicy goodness. It’s a great thing that Dann’s Daily likes to experiment with spices, cuz there’s more to seasoning than just salt! Since the tortilla was toasted to a crisp, it felt a little like eating fish and mushroom cheese pizza. Love it that it doesn’t taste like whole wheat at all! 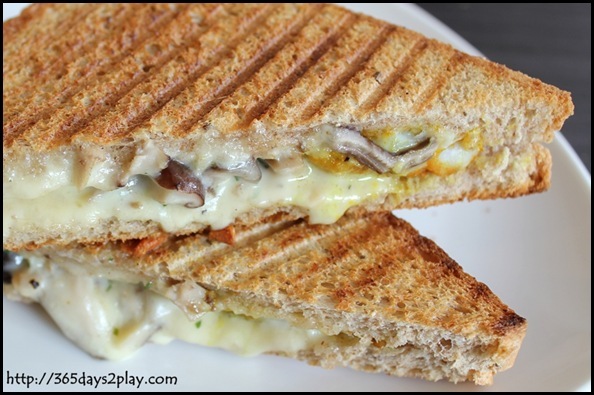 Another of my all time favourites, the toastie. 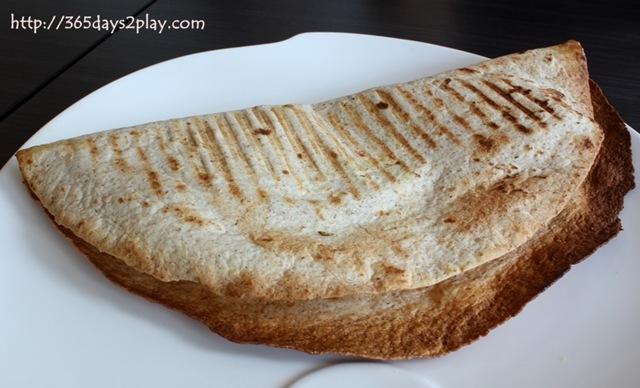 The filling is exactly the same as the wrap, but panini bread is used instead. This is slightly less messy to eat, but equally fantastic in taste. Also slightly cheaper at $5. 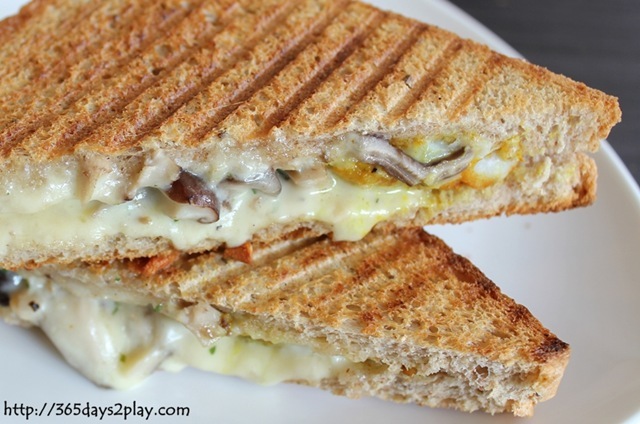 It’s for the toasties and latte that we keep coming back! Closer look at the oozy goodness. Seriously good stuff, and it’s HEALTHY!!!! Xing of Dann’s Daily told us that they have changed their coffee beans to one that gives off a slightly less acidic and more chocolatey flavour. Didn’t manage to get a picture of the one we had on Sunday but here’s a picture of the latte I had some months back. 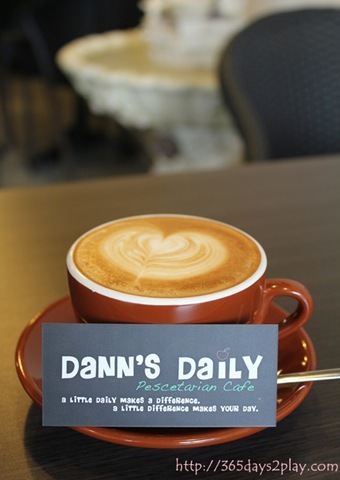 If you want to know where to find the best latte in eastern Singapore (Bedok, Siglap, Tampines, Marine Parade), you won’t go wrong with Dann’s Daily. I assure you, I’m not paid for making this statement. Ya I do! Have you been back recently? Nope, a pity it’s extremely far for me! I miss the toasties and muffins! 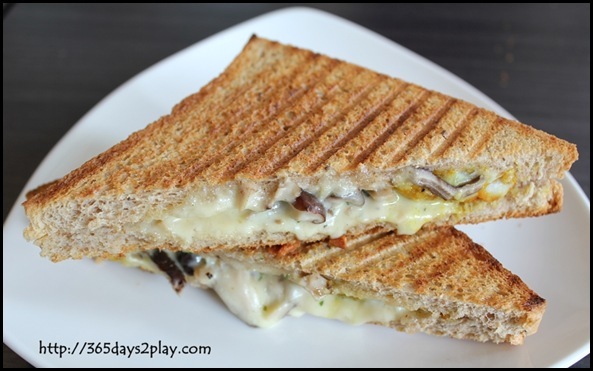 this totally looks like something I would love to eat every day 🙂 melted cheese!!! I would love to give that wrap a try. Thanks!!!! How are you???? I live in the East lah! Any good restaurants in the west to recommend? Maybe we can meet up!! 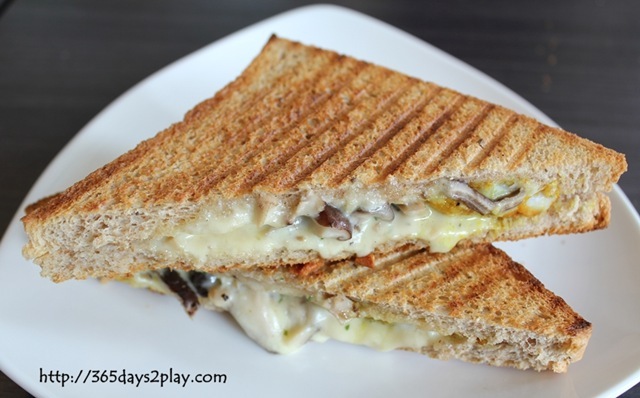 Last week I tried Jimmy Monkey near the soon-to-be-opened One North MRT station. It’s an Aussie cafe and served decent coffee, breakfast and scones. http://jimmymonkey.com/ Not bad but kinda pricey. There’s a new Grand Salads at Fusionopolis. Looks cool. I’m going down to try it soon.